Whether for children, a partner, grandparents, friends or colleagues: An Advent calendar makes a great surprise gift for loved ones during the festive season. And if you personally fill the Advent calendar, you will have more creative ideas than just chocolates, because you decide the treats! Designing a self-filled Advent calendar allows for creative ideas! Choose your favourite pictures and decorate them with winter and Christmas clip art, or design templates! 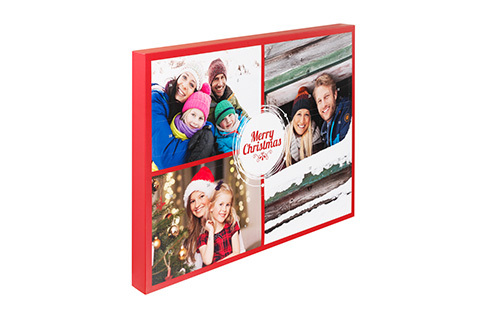 Some online photo printers offer professionally printed Advent photo calendars for self-filling, too. To fill the Advent calendar, a pre-cut insert can be pulled out on one side. Many compact treats fit into an Advent photo calendar. For example: small creams and perfumes or jewellery, hobby accessories, toys, and collectible figures. Messages, puzzles or even handicrafts things can be put into the Advent calendar, too. If you take a little time to design a custom Advent calendar and select 24 little surprises for your loved one, they will be treated to a very happy Advent time.